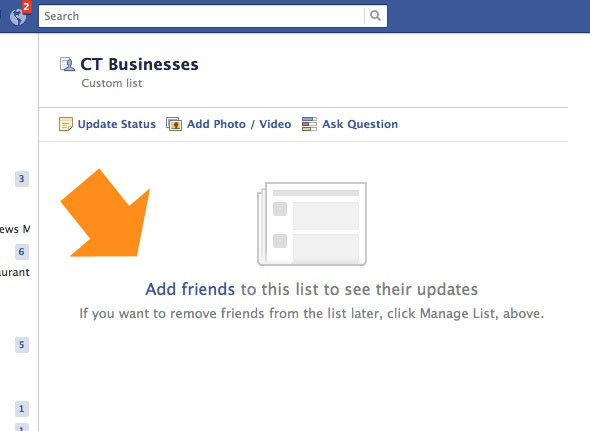 How many Facebook business fan pages have you “liked?” Are they cluttering up your news feed? 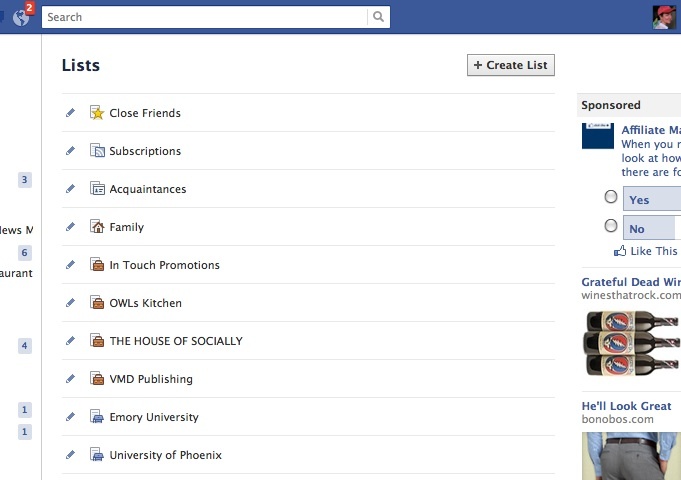 You can file them into lists to help you keep in touch with your favorites. Recently I posted a One Minute Tip to help you create a Facebook “Featured Likes” file where you can follow your favorite Facebook business fan pages. 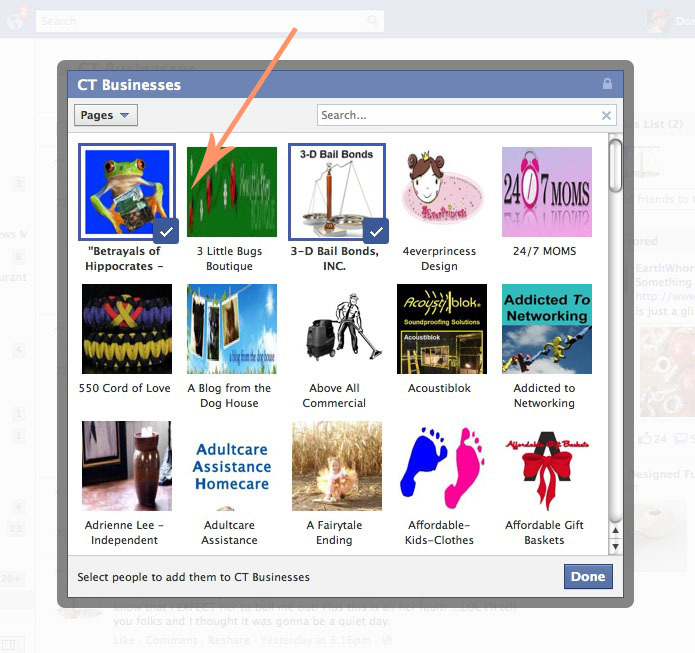 I just found out another coolly way to file your Facebook pages, thanks to colleague Sue Surdam at Social Media 101: Artizon Digital. First, go to your personal profile. 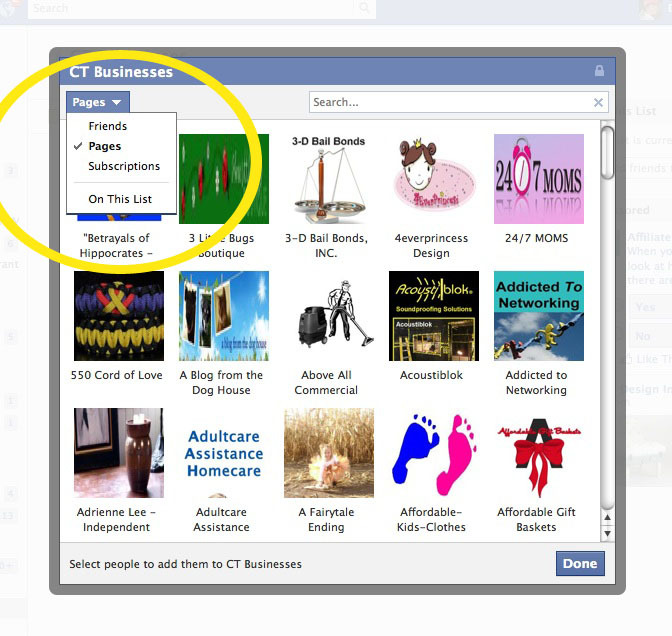 Unfortunately, you can’t do this yet from your business fan pages (in the immortal words of Chris Berman, “C’mon, Man!”). Get to your news feed (otherwise known as “Home.” You can see the link for “Home” on the top right of your page). Click on the “Create List” button on the top right of the lists. 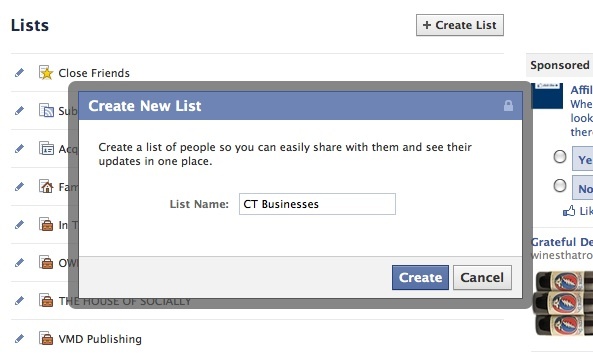 Type the name of the list you want to create on Facebook into the box that pops up. 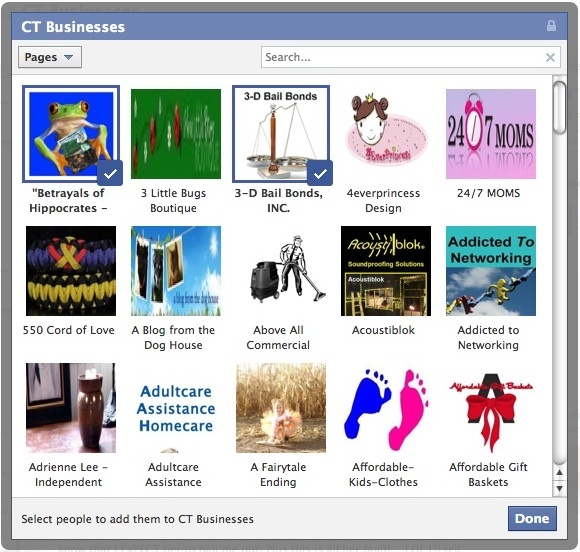 Check the business pages you want to put into your list. Hit “Done” and you’re done! 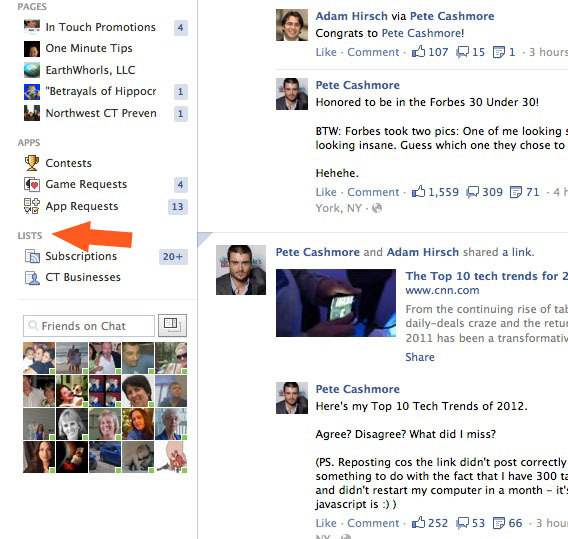 Now anytime you’re on your Facebook Home page (also known as your news feed), you can choose that list from the left side of your Home page and you will see the posts of the fan pages you put into that list. I never knew you could do this, did you? We'll write it for you. Keyword your text and images.